Bed Bug (Cimex lectularius) under a microscope! Our Bed Bugs won't bite -- but tuck someone in with them and we guarantee a smile and pleasant dreams! Fun sympathy gift for anyone who's encountered wild bed bugs. Nevertheless, Cimex lectularius once had a distinguished career infesting beds, as well as the crevices found in furniture and behind loose wallpaper and under floorboards. 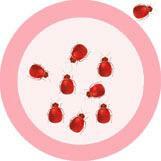 Bed bugs are very shy and were rarely active except at night. And though they live about a year, they could go for months without “biting.” They seldom spread diseases to humans. 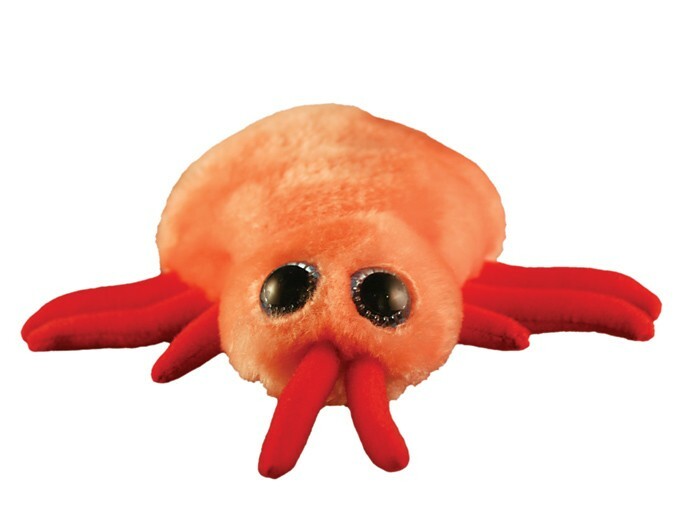 Generally, the only consequence of being bitten by a bed bug was the discomfort associated with the itching and inflammation. And don’t let go ’till the morning light. The name literally translates from Latin roots “cimex” and “lectulus” to mean bed bug. 5 to 7 millimeters, about the size of an apple seed. Bed bugs are naturally found wherever humans live. In an infested home or building, they can live in the walls, furniture, bedding, boxes, and even clothing! When people come in contact with those items or they’re brought into a new home, the bugs disperse and spread to other areas of the building. They’re excellent hitchhikers! Bed bugs have been a public health pest for a long time. They come out at night to feed on human blood and cause itchiness and rashes. Fortunately, they’re not a vector for other diseases, meaning they don’t transmit other diseases like mosquitoes and ticks do. Getting rid of a bed bug infestation is no walk in the park! It requires time, patience and a combination of chemical and non-chemical approaches, called integrated pest management. Fossils of bed bugs have been dated back to 3500 years ago. That means they may have even hitchhiked their way onto Noah’s Arc! 1700-1800’s: Bed bugs first settled the Americas along with the early European colonists. 2010: Bed bugs took over New York City! Many well-known retail stores and company offices fell victim bed bug infestation, like Nike, Google, and Bloomingdales! Bed bugs were so common in history that they were even incorporated into common English idioms. 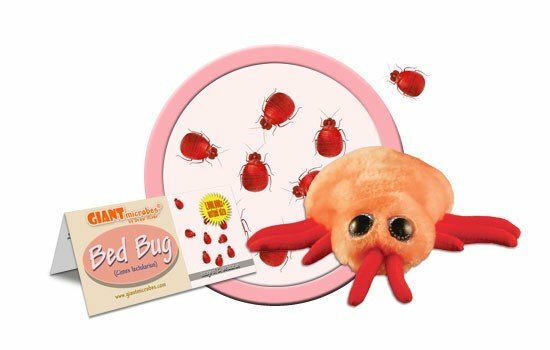 “Good night, sleep tight, don’t let the bed bugs bite” is a way to wish someone a pleasant and safe sleep.